Beaujolais Nouveau ! was posted on November 21st, 2012 at 5.25pm and is filed under French Wine. This entry has one comment. You can follow any responses through the RSS 2.0 Feed. 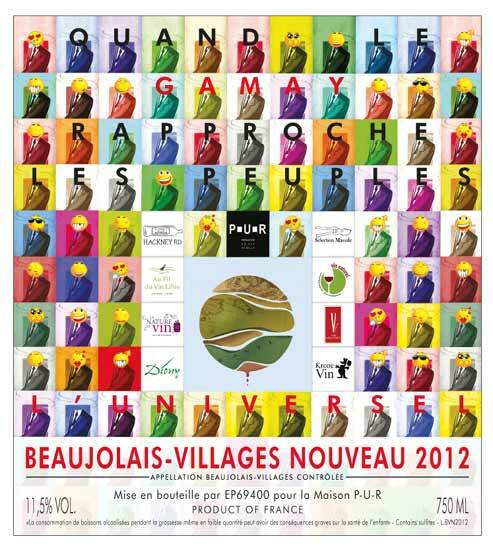 Beaujolais nouveau (French pronunciation: bo.ju.lay nu.vo ) is a red wine produced in the Beaujolais region of France. It is the most popular vin de primeur, fermented for just a few weeks before being released for sale on the third Thursday of November. 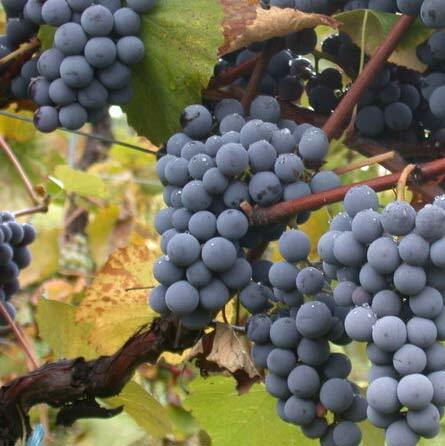 Beaujolais nouveau is made from the Gamay Noir à Jus Blanc grape, better known simply as Gamay. 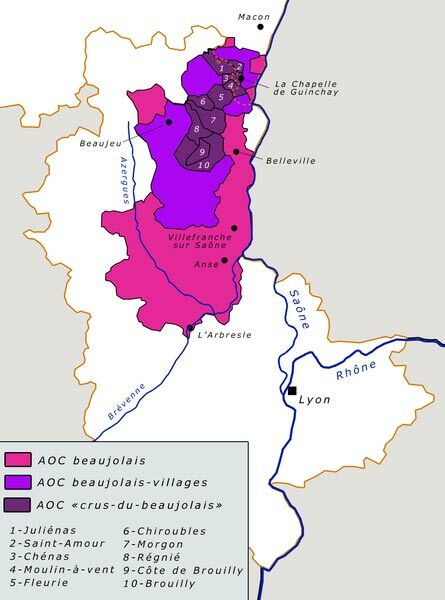 The grapes must come from the Beaujolais AOC, with those of the ten “cru” appellations excluded. 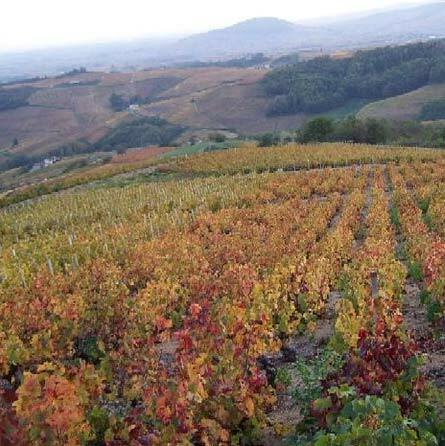 There is both Beaujolais Nouveau and Beaujolais-Villages Nouveau produced; the latter coming from the ~ 30 non-cru villages in the region. 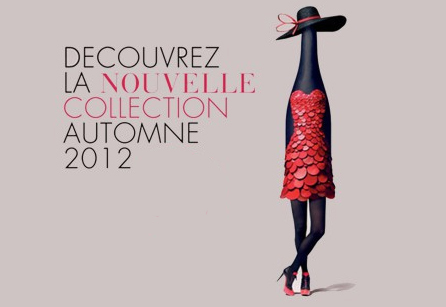 Beaujolais nouveau is a purple-pink wine reflecting its youth, bottled only 6-8 weeks after harvest. The method of production means that there is very little tannin, and the wine can be dominated by such fruity ester flavours as banana, grape, strawberry, fig and pear drop. The wine is recommended to be slightly chilled to 13°C (55°F). 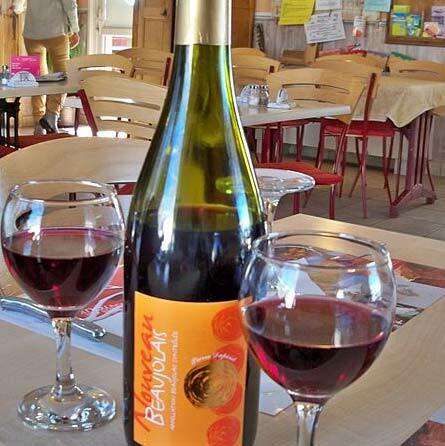 Beaujolais nouveau is intended for immediate drinking. While some nouveau can be kept for a few years, there’s no real reason to, as it doesn’t improve with age. For comparison, standard Beaujolais AOC wines are released the following year and can be stored for one or more years before consuming. The wines show definite variation between vintages, and as such are eagerly awaited as a first indicator of the quality of the year’s regional wine harvest. In the 1980s, Beaujolais hit a peak of popularity in the world’s wine market with its Beaujolais nouveau wine. Spurred on by the creative marketing from négociants like Georges Duboeuf , demand outpaced supply for the easy drinking, fruity wines. As more Beaujolais producers tried to capitalize on the “Nouveau craze”, production of regular Beaujolais dropped and an eventual backlash occurred in the late 1990s and early 21st century. By this point, the whole of Beaujolais wine had developed a negative reputation among consumers who associated Gamay based wines with the slightly sweet, simple light bodied wines that characterized Beaujolais Nouveau. Producers were left with a wine lake surplus that French authorities compelled them to reduce through mandatory distillation . In response, there has been renewed emphasis on the production of more complex wines that are aged longer in oak barrels prior to release. Recent years have seen a rise in the number of terroir driven estate-bottled wines made from single vineyards or in one of the Cru Beaujolais communes, where the name of the commune is allowed to be displayed on the label.